Every Friday it’s my pleasure to give away a card. The card goes to a randomly picked reader (worldwide) who leaves a comment in our conversation. Want to know more about Day of Giving, here’s a link to my FAQ’s just check out #11. For your comment today: What’s on your mind? Accessories: Spellbinders Fleur de Lis Squares, Spellbinders Lacey Squares, Satin Ribbon, Filigree Jewelry Element, Sequin Embellishment Thanks so much for stopping by! Lovely to read another post from you I do hope the sickness has now gone. Stunning creation and I do love the sentiment, so true. What’s on my mind…Mmmm I need to find another job lol! I have really had enough of the job I am in but my age is against me getting anything else even though I still have 10 years before I retire!!! Oh to find a job doing something I love lol! Good morning, Becca! Sorry to hear you were ill, but very glad to hear you are now feeling better. This is a lovely card, as always. I adore all the textures! Definitely my style. ? Today I am thinking of & planning out how to finish all the chores I have left on my plate. Had some work done in my home, which of course is nice to have completed. But it does leave unfinished items which will bug me until I finish them! So that’s what is on my mind this lovely morning. Becca, your card is DELIGHTFUL with just the right sentiment to provoke thought and to make us want to improve! Happy to hear you are taking it easy after being sick…prayers that you are definitely on your way to full recovery as you are one busy lady. Thank you for always being an inspiration….and for making us think about what we are doing and feeling. Today, I am thinking about making a special card for a dear friend who just lost her husband of 60+ years of marriage…already mailed a sympathy card. She is in town for a second Memorial service as her husband pastored our church for a number of years, then was Associate Pastor (after he retired) well into his 80’s. 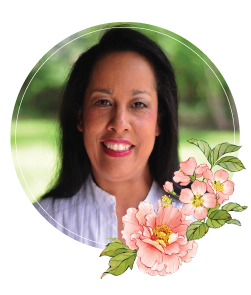 Will get to have lunch with her while she is here on Monday and want a special card – just for her. My prayers are with her and the babies. Thank you so much Kathy for your prayers. You will have your precious Grandsons one day in your arms. They are little angels taking care of you and all who grieve or worry. Thank you Londe for your words and your prayers. As of yesterday they are doing well and growing but as my son said there is still some danger. I will share your words along with Christine and Kathy-this means so much. Take care. Am covered in goosebumps looking at this card! It’s soooo beautiful! So sorry to hear you’ve ben poorly and hope you’re able to catch up now. On my mind….? A younger friend in the final stages of Motor Neurone Disease – and her family. Such a terrible disease. Gorgeous card! Love all the layers and details! A gorgeous card Becca would love to win it, sorry to hear you were a bit under the weather but glad a bit better now. Got someone coming on Sunday to quote for a window in my garage so that’s what on my mind at the moment. Another stunning card! So glad you’re feeling better Becca. Sorry to hear you were ill but glad you are feeling better. Love the Sentiment and the card is beautiful as always! Hope you are feeling a lot better, sorry you were poorly! Thought for the day: Keep Becca in prayers that she, who, while feeling ill, still took the time to care about all of us and continue her Day of Giving, will soon feel well again. Absolutely gorgeous card once again – truly beautiful. Sorry to hear you’ve been poorly but glad you are feeling better. On my mind is pure joy that my husband has arrived home a week earlier than expected, after being away, sailing across the Atlantic Ocean for a month. The things I was going to do this week while he was away can happily wait! What a gorgeous card today with the most lovely sentiment. On my mind today is the rain forecast for Sunday when the local Street Party for the Queen’s 90th Birthday Celebrations will be in full swing. We will bite the bullet, show our stiff upper lip, make sure all the children have a great time, and raise lots of money for charity into the bargain!!! My mind is a blank canvas today. Just soaking everything in…. This card is STUNNING!!! Love your “simple card”. I’m wondering how you made that gorgeous jeweled embellishment, the petals around the gem. If you made it, I hope you can show us how you did it. Love the sentiment, you introduced me to Quiet Fire and I have placed a few orders over the years. Thank you!!! So glad to hear you’re feeling better. Perhaps some restful, quiet time is just what the doctor ordered to give you what you need to move into the productive time ahead. Along those lines, my two choral groups are heading into our summer hiatus. I am ready to recharge and look forward to what the summer holds in store. My twin sister is coming for a visit and I will take some vacation time while she is here – can’t wait! Oh, what a gorgeous card and the saying! Priceless! I’m thanking our wonderful Lord today for keeping my car, thus me safe! I’m on a trip soon and had my oil changed. While there, they found a very serious problem with the tires. Sorry you have been sick and hope you are feeling so much better. What gorgeous sentiment this is and by our actions it will come true. What’s on my mind is that if a Golden Wedding card I have just made for a special friend will be good enough. Just some self doubt today. Sorry to hear you were not feeling well. But glad to hear you are better. What a lovely way to display fibres. Beautiful card! What is on my mind is that I have to go shopping & find my daughter a Holy Communion dress. Another beautiful cad Becca – sorry to hear you have not been well, and pleased to hear you are on the mend. What’s on my mind? After a broken night I would love some sleeeeeep!!! as a result I am not really thinking clearly. So beautiful, I hope to learn to make such beautiful cards!! Where do you find religious stamps? been to a specialist and had a CT scan yesterday not looking good. Have to wait for biopsy results long weekend here makes it a longer wait. What is on my mind: What will they find when I have my ultrasound on my rib cage the 15th (one doctor thinks it is just Lipomas in the spaces between the rib bones with one large one wrapping around my right side) and what will they find in my Left Hip on the MRI on 7-8-2016. The last MRI I had they thought it was either Giant Cell Tumor or a Rare Cancer called Chondroblastoma. But as scared as I am– I am trusting God either way. What’s on my mind? Too many things, I need to defrag! Hoping you feel much better today. Be kind to yourself. What’s on my mind??? I’m going to afternoon tea with my eldest daughter can’t wait!!! Beautiful card and a wonderful text, which i have copied into my ‘thoughts to treasure book’. There are quite a few from you in it. My daughter in law and son are weighing heavy on my mind. She has breast cancer only diagnosed in March and already it has spread to her bones…… They have put her into early menopause and are switching off her ovaries so there dreams of a family are dashed too. 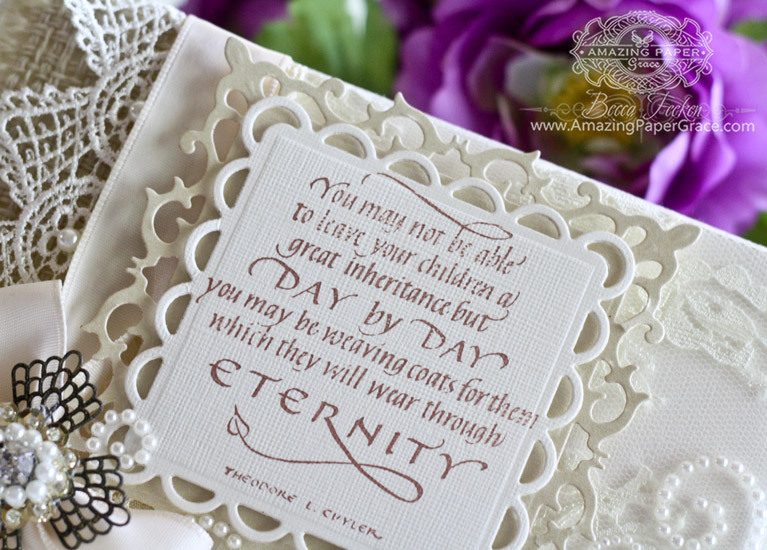 You always inspired and today is no different with this stunning card with a lovely sentiment. Happy to hear you are feeling better. I will be praying for your full recovery. Hi Becca, Here’s hoping you are feeling much better now. This card is gorgeous !! and the sentiment is very profound, I love it. 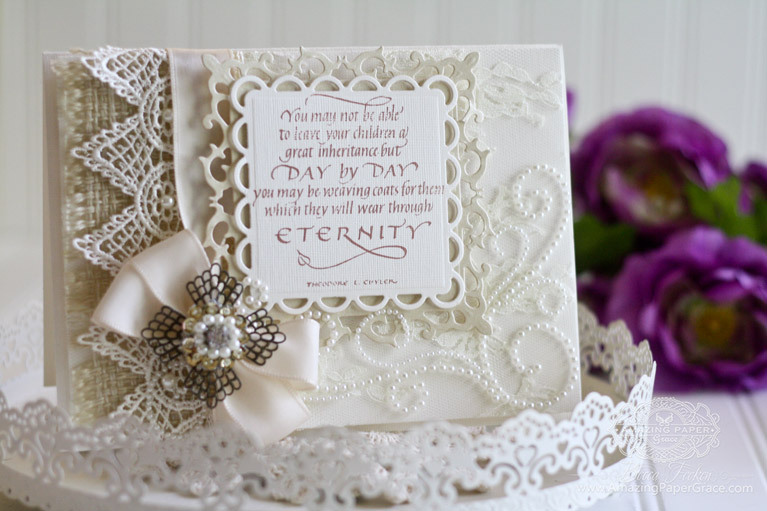 I love the lace too, it adds a pretty ‘elegance’ to your card. What’s on my mind – the lack of time for the amount of tasks that I need to do !! So sorry you’ve been sick! These summer illnesses are the worst. So sorry you have been sick. What is on my mind now? Well my daughter (Special needs) had surgery last Tuesday and came through in stellar manner. On returning home from hospital Wednesday, received a call Wed. evening that my sister in Ohio had fallen and broke her hip. So the two of them are on my mind and my prayers. Today’s card is beautiful as always. My favorite day of the week is Friday when your day of giving card is shown. I never miss it.